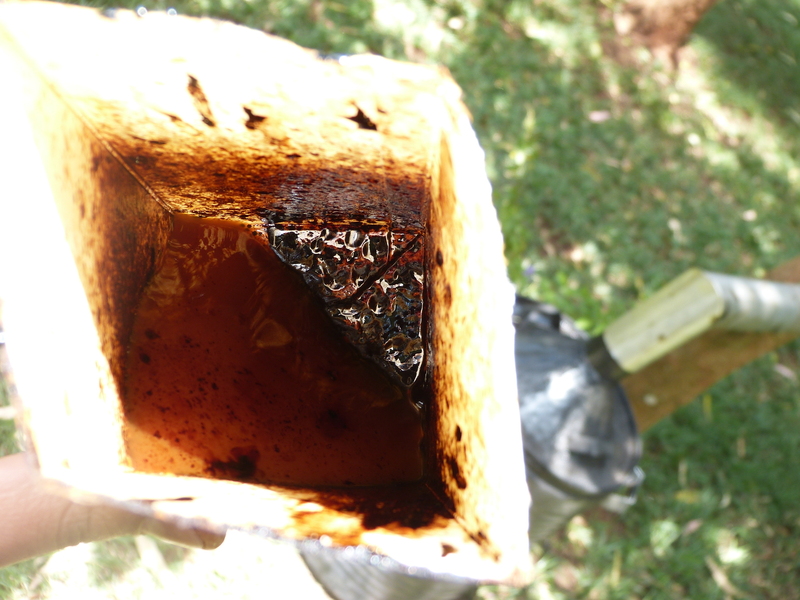 On a recent trip to Haiti, I completed the first prototype of a new school rocket stove. This one has a 26 ga 330 stainless steel firebox liner, 2½" insulating firebrick walls, and galvanized steel outer shell. The skirt is 304 stainless inside, 1" ceramic fiber in the skirt floor and walls, and galvanized steel outer. The mouth and firebox are 6½" x 6½". The pot is 40 qts with the top diameter about 1/4" larger than the diameter near the bottom, and is imported. The locally available spherical bottom pots made skirt construction extremely difficult. We hope to someday produce this stove in quantity at a combined vocational school/stove factory. On my trip to Haiti in March 2016, I finished the ammo box stovetop oven. It is made with two ammo boxes, ceramic fiber board insulation, some stainless steel sheet, and various hardware. The oven chamber is 13" x 13" x 5". I plan to add split firebricks on the floor for use as a pizza oven. It fits on a household rocket stove but could be used over virtually any heat source. Jo Kennard in Australia has developed a retained heat cooker the Easy Oven, and has developed an excellent table of recommended cooking times and recipes to go with it. The inverted pyramid rebar stove is ubiquitous in Haiti. Lots of radiation and convection away from the pot. No air control. Pot is often placed directly on the charcoal which quenches the charcoal and interferes with good radiative heat transfer. I cut up a scrap stainless steel kitchen sink, built a sheet metal outer box, put in 1" of ceramic fiber board insulation, and added legs and pot supports. The inverted pyramid grate will have the legs shortened and be placed inside the "sink". A slide gate with sets of progressively smaller holes will be added to the "drain" for air control. After over 30 years of doing theoretical and experimental research, the authors of this document (Newtech Co., Ltd. in Quy Nhon city, Binh Dinh and Tan My Kim Co., Ltd. in Ho Chi Minh city, Vietnam), until now, have completed all not only modern but also cheap & user-friendly technology solutions which can help the poor all over the world do cooking by gas generated at their home without buying any drops of liquefied gas. These technologies solutions can be developed in a country or in a big city or small town in any countries in the world, even it is in America, Europe, Australia and especially in Asia and Africa. The authors believe that the modern but simple technology solutions stated hereby will start an era of a great revolution in cooking for billions of the poor all over the world and they hope that such technology will satisfy all poor persons. The authors are very willingly to transfer these technologies to the countries in accordance with the international law in order to be together with such countries to help the poor all over the world. The stove was developed by Adrian Padt and Aidan Oosthuysen, and Richard Pocock, and uses a familiar Rocket design surrounded by a wire cage to improve the stove's stability and reduce burns. It's a smart looking stove, it saves women time and energy in gathering firewood, and it has lower emissions than the solutions it is typically replacing. The Rockt Works stove is a high efficiency wood burning stove, designed to accommodate multiple fuels when required. It is smokeless after initial combustion, thereby reducing the likelihood of carbon monoxide poisoning and reducing the emission of black carbon particles. The outer cage remains cool to touch even after hours of cooking, due to our innovative design. It is made from high quality, heat resistant stainless steel allowing for years of regular use. It can boil 5 liters of water in 15 minutes using as little as 250g of wood, which is significantly less than traditional cooking methods. Its thermal efficiency is 45%, for the Large Pot High Power, performed by the SeTAR Thermal Efficiency Test. Its emissions are the best in its class. Gustavo has presented a very nice video of the use of a tall TLUD gasifier under a DUAL purpose stove frame (frame = stove structure without the heat source) that first boiled 5 liters of water in 12 minutes, and then converted into a plancha stove with chimney, cooking papusas (related to tortillas). Total cooking time 1 hour 45 minutes on one batch of wood chips/chunks (5237 grams) that yielded 1300 g of char. 25% weight yield of char. Probably could have operated an additional 10 minutes with pyrolysis fire and a slightly lower percentage yield of char. Note: That is approximately 4000 g of fuel of pyrolytic gases (including moisture content that was probably near 15%). Any ash content (probably 1% of the raw fuel) remained in the char. The Quad TLUD has features for easier production (using tabs and slots, and zero rivets), easier shipping (as flat-pack pieces), local assembly, and greater stability and coolness of four wooden handles that serve also as legs. Without question, there will be further improvements as the number of users increases and they provide feedback. For example, households using the Quad TLUD stoves in various refugee camps could make suggestions that outsiders might fail to foresee. Jigs, tools and methods for making flat-pack pieces are being prepared in the USA for availability to stove projects worldwide. Cost: Mwoto and Quad TLUDs sell for approximately US$15 in Uganda, and should eventually cost less, especially if purchased in bulk as flat-pack pieces to be assembled by a local project. Dimensions: Currently one size, but size can be easily changed: Height: 19” (48 cm), Square footprint 12 x 12” (300 x 300 mm); Fuel cylinder height 14 “ (36 cm) with diameters from 5 to 7” (12 to 18 cm). CO & PM Emissions: Consistently the lowest for any of the natural draft stoves that burn solid biomass. Thermal efficiency: Range from 35% to 41% currently. Expected to go even higher. Fuel consumption: 1050 to 1600 grams for a standard WBT of cold start plus simmer (respectably low). Fuel types: TLUDs can utilize a wide variety of low-value chunky dry biomass fuels (e.g. corncobs, tree seed pods, nut shells), including briquette pieces that can be locally produced from unused biomass. “Stick-wood” is not a common TLUD fuel, but can be used vertically as “wood segments.” Vertical segments also with papyrus reeds, bamboo, etc. Options: The Quad can be made as a TChar variation for ease of using the created charcoal as fuel in a charcoal stove or as biochar that is added to the soil. and visit www.drtlud.com for future updates about TLUD gasifier technology. 1 The Basic Mechanisms of the Rocket Stove. With the lessons from people like Rok Oblak, Richard Stanley and the Aprovecho Institute the author began learning to build the holey roket stove in his workshop at Daet, Camarines Norte. With sheer perseverance and amidst scarcity, he was able to create several models and delivered skills training to poor people in Camarines Norte, Sorsogon and recently in Bulacan. 2. Among the many feedbacks from the users are the limitation of the holey roket stove in terms of (1) fragility in handling and (2) capacity to receive bigger loads when cooking for bigger occasions and events and for food business. In response, one of the models was picked up for reinforcements. I recently discovered these aluminum cookpots with stubby rods welded to the bottom to act as fins. These should improve heat transfer to the cookpot. Unprocessed coconut hulls make lousy fuel. Coconut hull fiber are generally know as coir. It is a big business in India. The fibers are processed into mats, carpet backing, potting material, and geotextiles (for erosion control). On a small scale, the hulls can be soaked in water for at least a month and beaten to break the pith and used as mulch. The pith leftover from fiber production is known as cocopeat. It is generally a coarse powder. It can apparently be made into fuel pellets for gasifier stoves. See attachments. The first two stoves in the attached i already am making since the past years. And recently, i have been teaching women and soon their husbands to also make their rocket stoves here in the province of Bulacan under a disaster preparedness program by the Save the Children International. They also make their own designs of flowers, castle towers, chess characters, and faces into their stoves. the drawing in the third attachment is a prototype in process. It is a Holey Rocket Stove with a char pocket on the side and a box as a platform. I hope to finish it in the coming weeks. A few more pictures to clarify how the Rim Fire iCan is built. It is quite simple. Hi all many of you don´t know me, I start 5 years ago with the help of Nancy Hughes from Stove Team International and with a little help form Carlos Santana, since then I have learn some stove principles desings with Larry Winiarski, 2 years ago the Global Alliance invite me to attend the wood cooking stove forum in Lima Peru, in the opportunities brought along a hybrid stove Rocket/TLUD similar to the DK stove. and I´m working with a metal rocket combustion chamber wich will be done next week, we´ll make some KPT for 2 months before I send pictures, but tomorrow I´ll post some pictures of my hybrid metal rocket-TLUD that I made 2 1/2 years ago. X = your altitude in meters. If you know your altitude, it will give you the ‘standard’ boiling temperature. If you know the local boiling point, you can work backwards to get the altitude where you are standing. where ‘Altitude’ is the cell in which the altitude is located. Four very good reasons why to make your own charcoal from dry maize cobs. They are easy to light and burn very hot with little ash and are perfect for cooking a quick meal. Her comprehensive survey of micro-gasification technology has great technical information and is well worth the read. thanks to GiZ (the German people) for making it available to all of us. Rogerio Carneiro de Miranda shared his new video that highlights the features of the Ecofogão in Brazil. It is is a rocket style stove that uses wood to heat a cast iron griddle and an oven. It is an efficient stove that also includes an chimney, and the option to build it into an attractive and functional kitchen island. They also have an option that heats water (for washing or bathing). They have developed a various biomass stoves ( Kompor Biomass ) The fuels also vary from chopped woods/twigs, pellet, palm kernel shell, hazelnut kernel shell, corncob, etc..
All stoves presented above are of TLUD types, but the combustion is improved by using pre-heating and counter-flow burning mechanism. The one intended for palm kernel shell utilizes diffused-combustion mechanism, in addition to pre-heating and counter flow mechanism. is devoted for institutional cook stove or small restaurants. Very recently, we have also developed a new rocket stove. The combustion in this new rocket stove is improved by introducing counter-flow burning mechanism. New video and print resources available at www.aqsolutions.org. Contamination of drinking water sources by synthetic organic compounds (SOCs – e.g. pesticides, pharmaceuticals, fuel compounds, etc.) is a growing worldwide problem. Many of these chemicals bio-accumulate in the human body and cause cancer, birth defects and diseases of the reproductive system, and disrupt endocrine and neurological systems. However, few low-cost, sustainable and appropriate treatment technologies are available to rural and developing communities for SOC removal. The Greenway Smart Stove is an insulated metal stove, that appears to be a rocket style design with bakalite handles and a metal pot rest and fuel rest. You can see more details in the Greenway Smart Stove flyer. This stove is marketed as an improvement over the mud Chulha, which is familiar in India. Biocharproject.org announces the stumpy biochar combination cooker. Its a tlud its a rocket stove it has many applications and fully customisable. Simple design utilises waste LPG tanks to provide safe efficent cheap cooking. Designed and Made in Australia by Biochar Project and Labrador Mens shed. Biomass Energy Foundation is offering a Workshop on the technical and practical concepts of its micro-gasification units. Dr. Paul Anderson aka “Dr TLUD” will provide an overview of the science and technology of the Top Lit Up Draft (TLUD) stove and its applications in meeting the cooking needs of local communities around the globe. He will be assisted by Bob Fairchild, Christa Roth, and Kathy Nafie. To the members of the list who don't know Energypedia yet: it is an online resource created as a Wiki by GIZ . After some years of development as company-interal resource, it was opened to the public energy community late last year. No registration needed to read. Recho Roket Website is updated! For over two years we have been telling people that in two weeks or so we hope to have the mud Rocket Stove website updated. It finally happened. Flip has worked countless hours on this. This morning she shouted out, "The baby is born!" 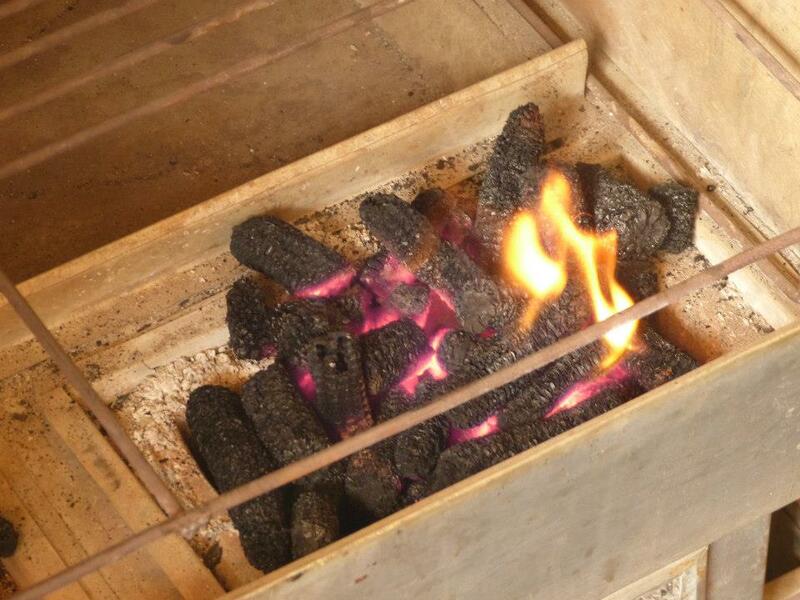 The TChar is a TLUD which lifts off at the end of the gasifier phase to drop char into either a charcoal stove bottom for continued use as cooking charcoal or a quench base for later use as charcoal or biochar. A- en nuetro medio un negocio comun es la venta de tortillas, una de las usuarias ha logrado producir 800 tortillas con 10 libras de leña. B- la primera estufa con 2 quemadores tiene ya 8 meses de prueba y las condiciones de la càmara son exelentes no se ve deterioro alguno, esto nos da un parametro de vida de mas o menos 4 años de uso diario. D- los resultados finales con relacion al peso de la leña en comparacion de estufa tradicional estaran listos en 2 semanas. Aqui van las fotos y los dibujos de la càmara, en el power point puedes ver los modelos que estoy produciendo, la Ecocina es la lider en ventas, al final del power point veras una estuva de metal con protector amarillo para evitar quemaduras la he nombrado HOPE y espero presentarla a una universidad de Africa en unas semanas. The TChar(tm) stove is a TLUD stove that lifts off at the end of the gasification stage to drop the charcoal into a T-base(tm): a charcoal stove to continue cooking with the charcoal created or a quench base to save the charcoal for biochar or other use. Has anyone experimented with using a bundt shaped pan for improved heat transfer? It is an open topped donut shaped pan usually used for baking cakes. It would have more surface area for better heat transfer.